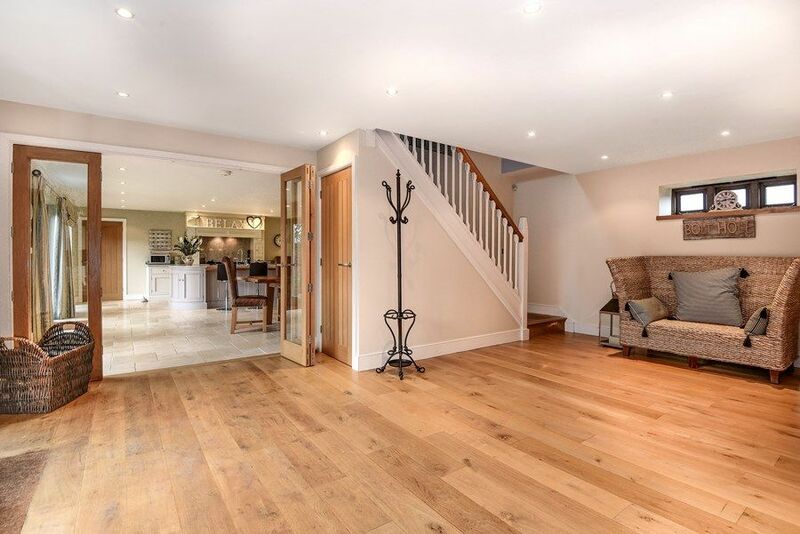 Entrance hall: glazed doors lead into the spacious entrance hall with wooden floor. There's a banana leaf sofa, full length mirror, sideboard with lamps and a storage cupboard. 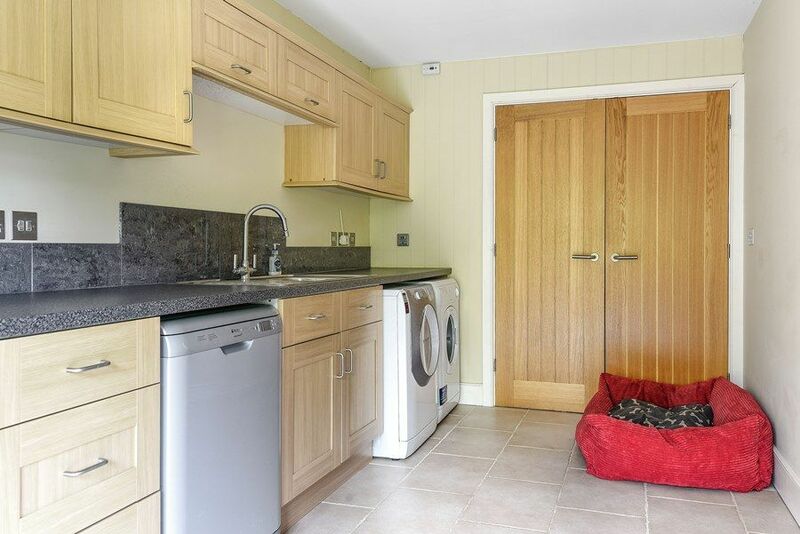 Utility Room: a really convenient large room containing a fridge/freezer, the dishwasher, washing machine, tumble dryer and sink. 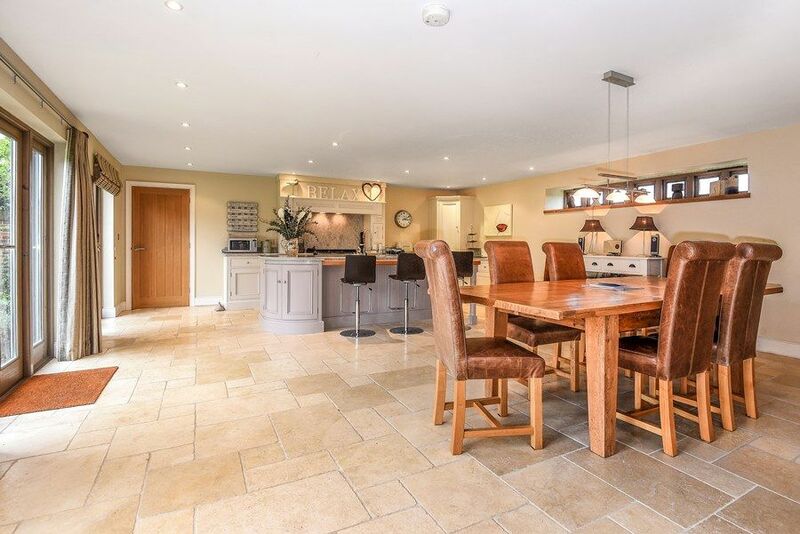 Kitchen/Dining area: a wonderful light and airy room with underfloor heating and glazed doors opening out to the garden. 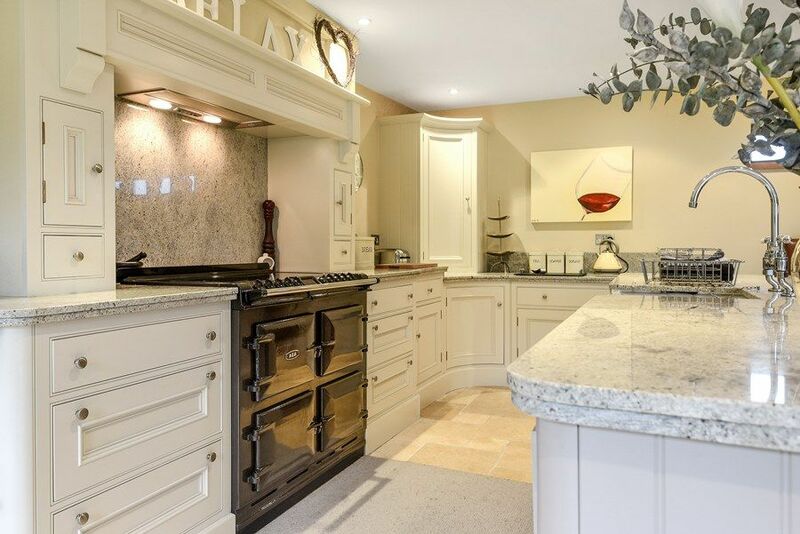 There's a high specification hand-built kitchen with an electric Aga range cooker, integral fridge and a microwave, with plenty of crockery and cookware for catering for large numbers. 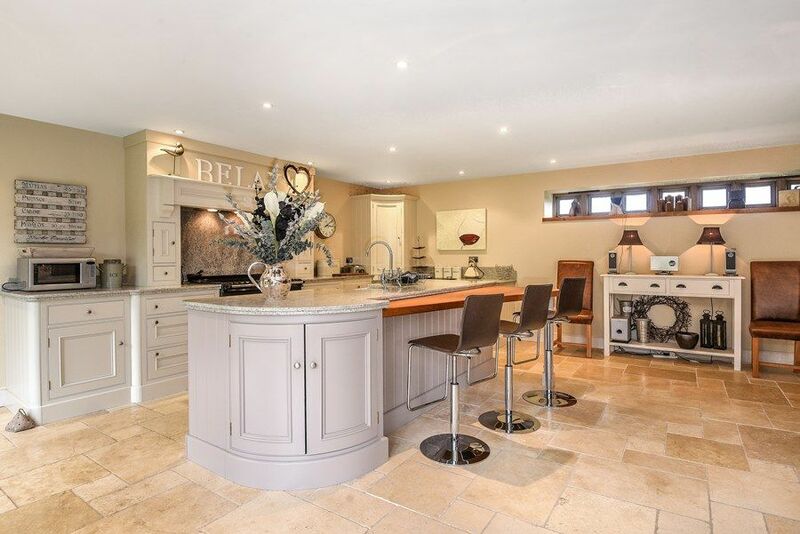 The large central island has three bar-stools. 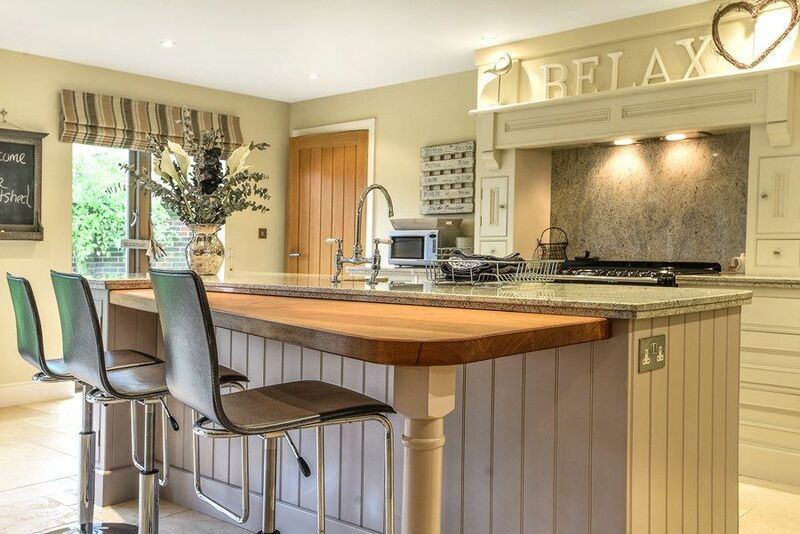 Guests may dine in comfort as there's a large dining table with eight comfy leather chairs. 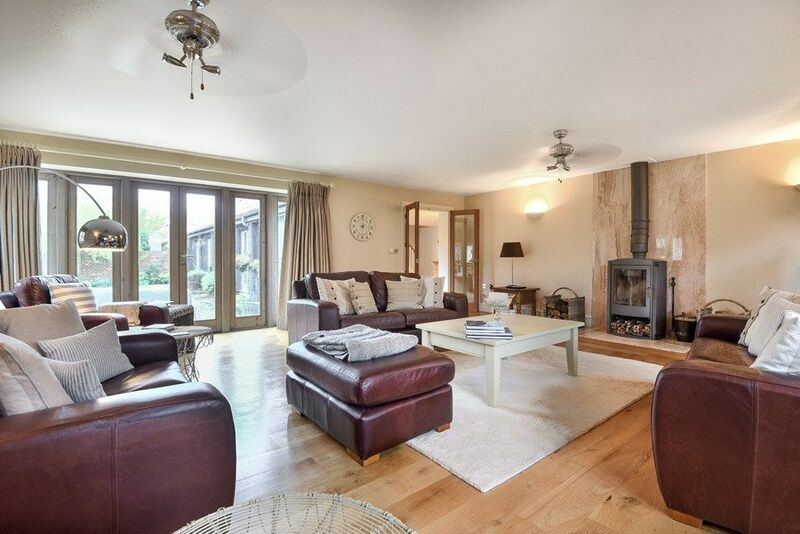 Sitting room: a lovely big room with ceiling fans, a wood burning stove, three comfy leather sofas and an armchair, coffee table, dresser and a large TV with DVD player. Glazed doors lead to the walled garden. Bedroom 4: suitable for less mobile guests with wrought iron twin beds, bedside tables and lamps, chest of drawers and a built-in wardrobe. 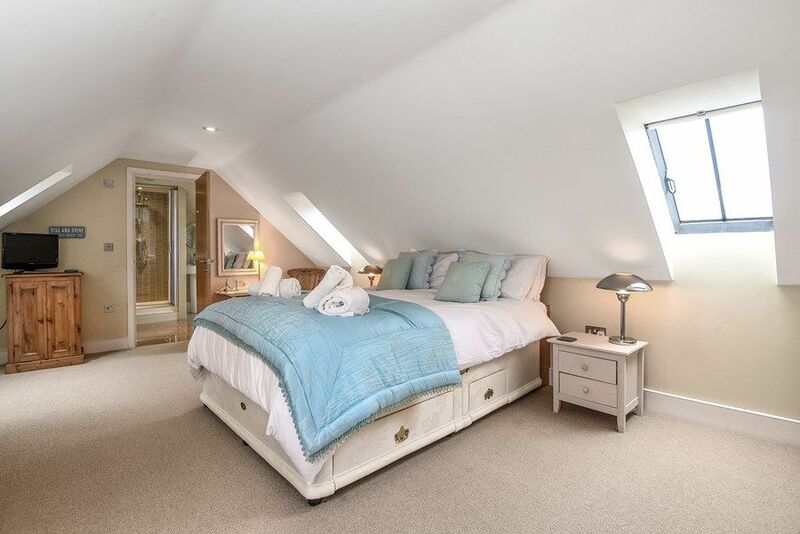 En-suite bathroom: bath with an overhead shower, heated towel rail, hand basin and WC. 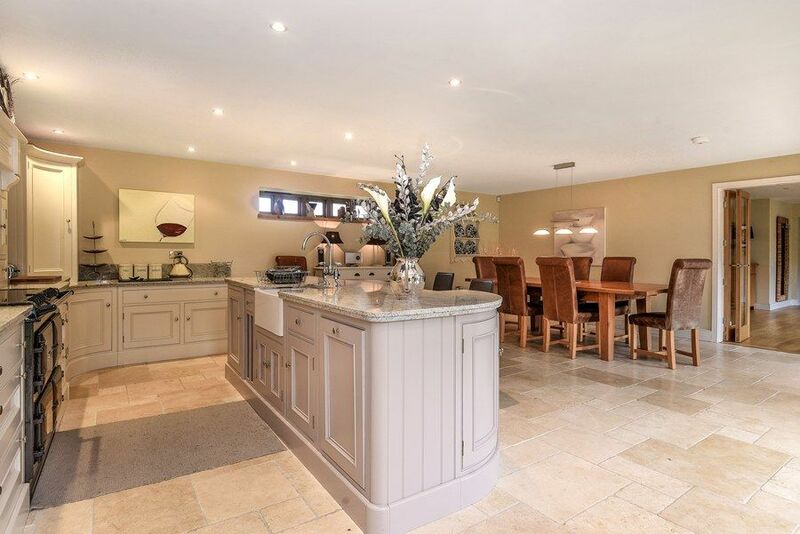 There are two staircases in The Cartshed: the main staircase leads from the hall to bedrooms 1 and 2 and the second staircase leads to a delightful sitting area and through to bedroom 3 (there is no access between bedroom 3 and the other two upstairs bedrooms). Bedroom 1: beautifully presented room with distant sea views, a king-size bed, bedside tables and lamps, TV , bedroom chair and a hair-dryer. 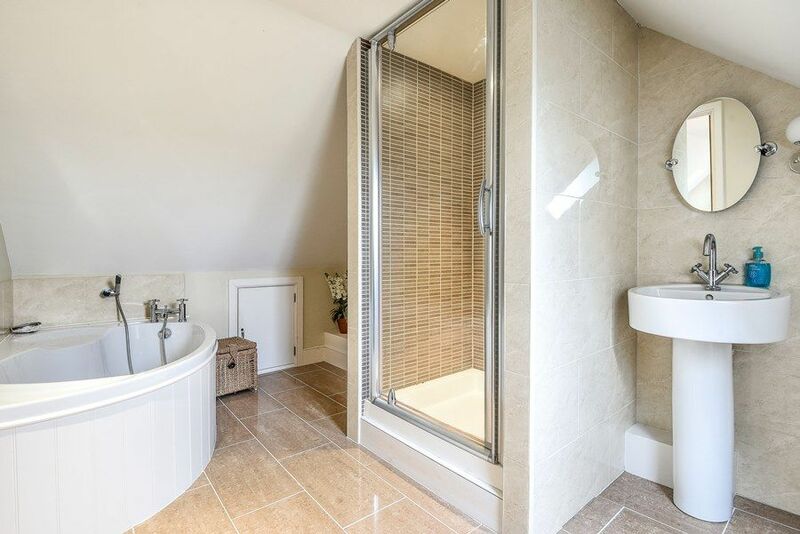 En-suite bathroom: a lovely big bathroom with a bath, separate walk-in shower, hand basin, heated towel rail and WC. 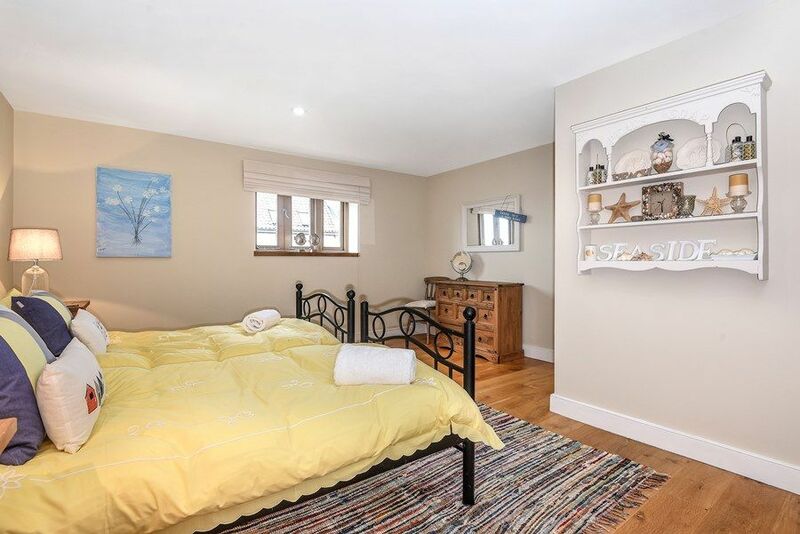 Bedroom 2: lovely room with distant sea views, a double bed, dressing table and stool and TV. 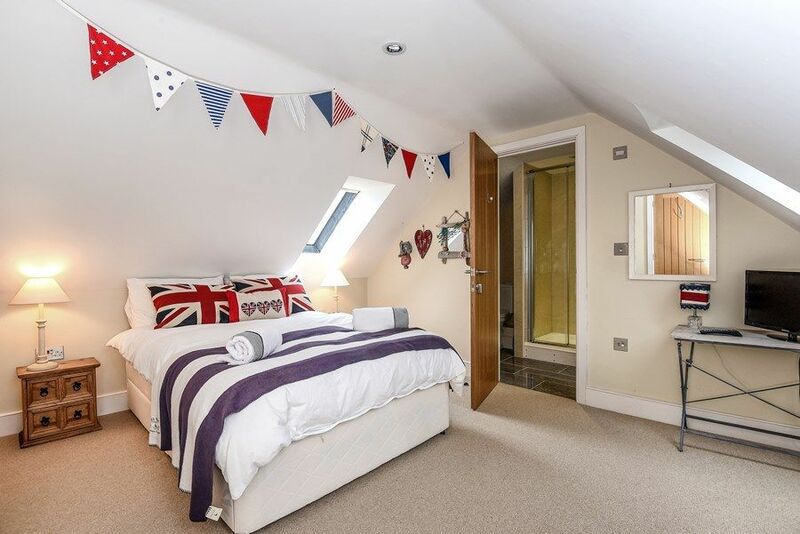 En-suite shower room: has a walk-in shower, hand basin, heated towel rail and WC. Landing: between bedrooms 1 and 2 has a useful built-in wardrobe. 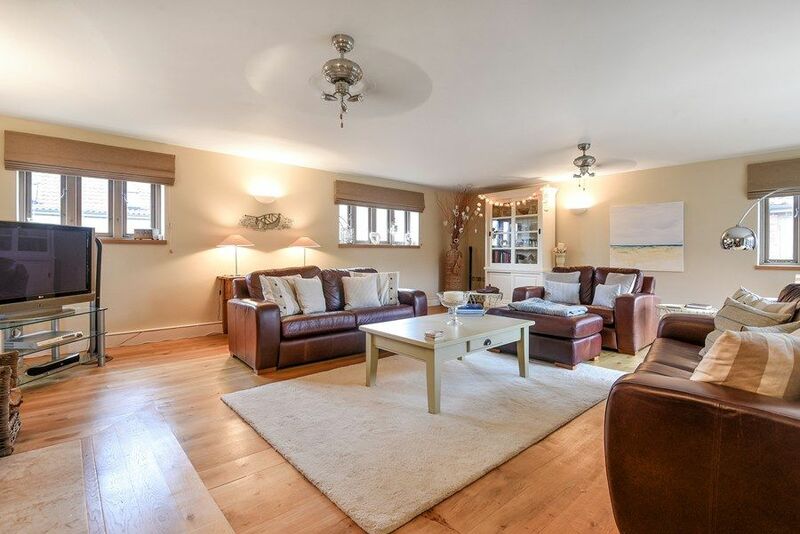 Upstairs sitting area: with gorgeous views across the marshes out to sea. 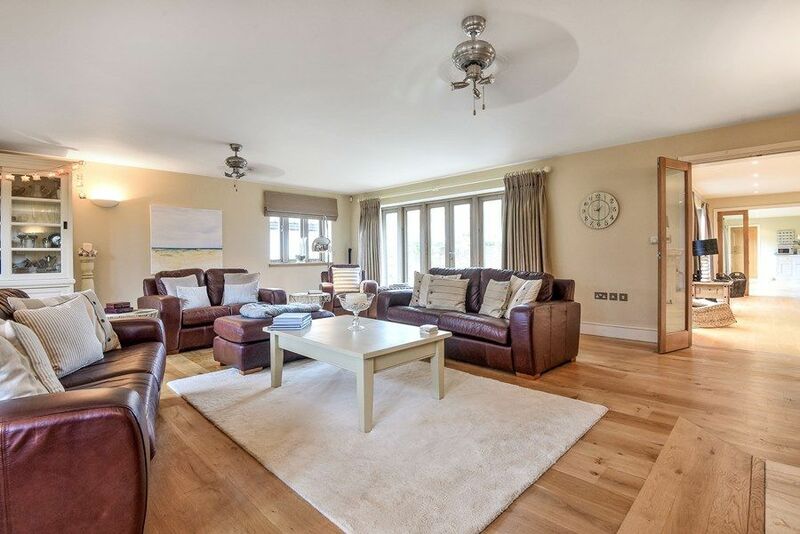 There's a leather sofa, coffee table, wicker chair and a TV. 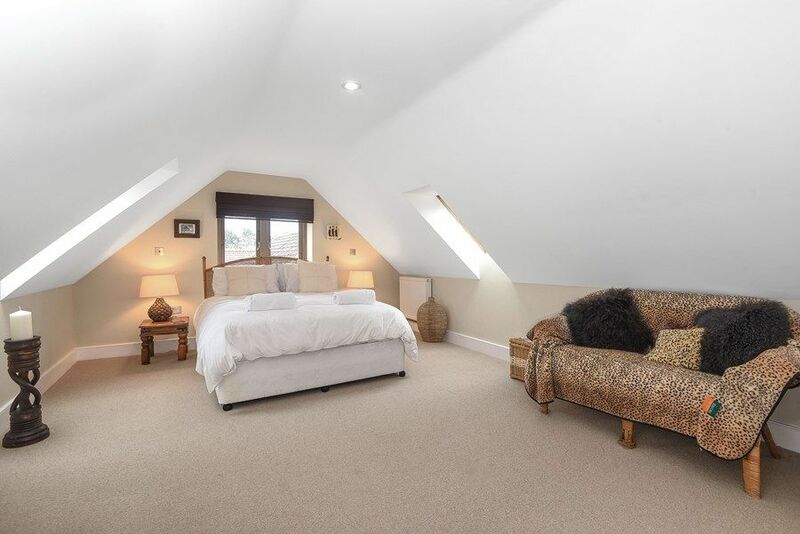 Bedroom 3: light and airy room with a sloped ceiling. Has a king-size bed, bedside tables and lamps, clothes hanging rail, sofa and chair. En-suite bathroom: bath with shower mixer taps, hand basin and WC. 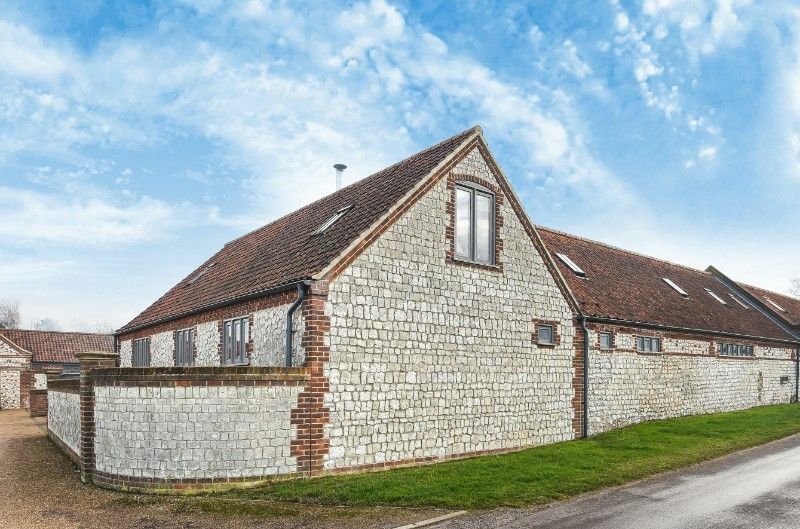 The Cartshed is one of six high quality Marshland Barns quietly situated off the coast road. There is a private shingled parking area providing off-street parking for three cars. 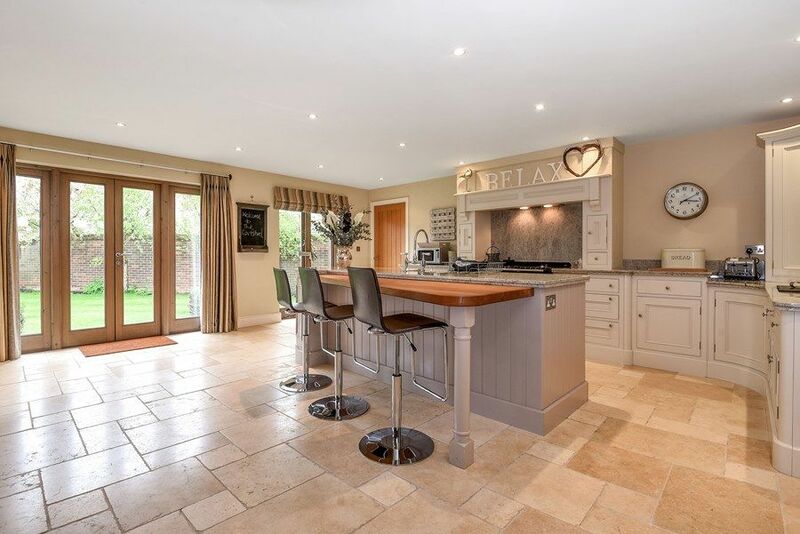 There is a well-maintained fully enclosed walled lawned south-east facing garden, patio area, garden furniture and barbecue. The beautiful coast is within walking distance. Better than Expected. Larger than expected. Loved the space and decorative details. Also beds were very comfy. Fabulous weekend. Thank you. 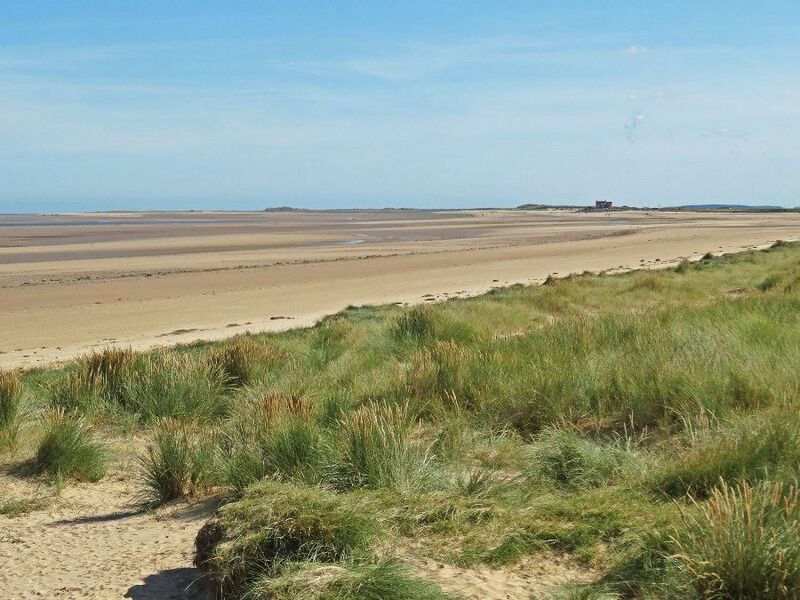 If you would like to see more of our holiday homes in and around the Norfolk coastal town of Titchwell, please click here.